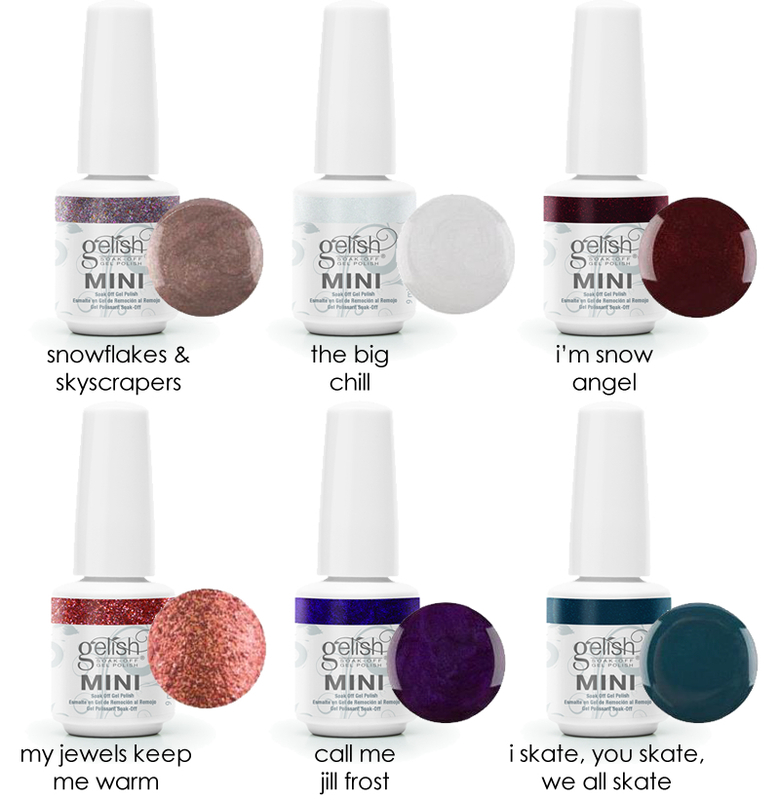 This winter Gelish MINI is serving up an arctic storm of cool, shimmery colors that are fearless and bold. The Big Chill 2014 collection offers style-defining picks from a twist on a classic white to a seductive burgundy with subtle shimmers. With six rich, distinctive shades and the long-lasting, chip-free formula, nails will be ready to show off through any type of weather. "Our mood board invites winter whites and lavish faux furs with cooling splashes of color to accent this soft style canvas. The ideal dress code for any dashing diva braving the arctic weather," adds Danny Haile. Winter can be the most wonderful time of the year when nail beds are kept healthy. Use Nourish cuticle oil after every Gelish mani to keep cuticles soft while opening up nail beds for a meticulous manicure at home or in the salon. The Big Chill Collection will be available for a limited time beginning November 2014 for $13.99 per bottle at Sally Beauty Stores and www.SallyBeauty.com. Join the conversation with @GelishMINI on Facebook, Twitter and Instagram.